100% organic cotton interlock T-shirt. Also available in midnight, mint-ash and licorice. Matches our interlock knit shorts and Kurta Pants. 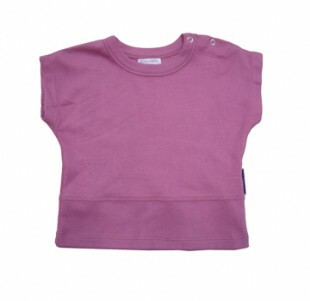 A roomy, soft and comfy t-shirt for baby to play, sleep and live in!